Measure, analyse and innovate: an on-going challenge! The CIM is to be the meeting-point for technical exchanges between all the actors of measurement: industrial users of equipments, technical experts, public and private laboratories, manufacturers and service providers. This congress is unique in Europe. It explores developments in measurement techniques, R&D advances and their implication for industry. It demonstrates how measurement improves, day-to-day, industrial processes and risk management. Outsourcing metrology: dream or reality? 180 presentations are introduced on a variety of topics. The general topics such as uncertainty of measurement, statistics, cost optimisation... will not be forgotten. To complete this programme, technical visits are planned at the Observatoire de Paris, SOPEMEA and LNE. The Congress is organised by the Collège Français de Métrologie in partnership with Euramet, European co-operation for Accreditation, the BIPM, the OIML, the NCSLi, the NPL, the DFM and the METAS concerning the international participation. 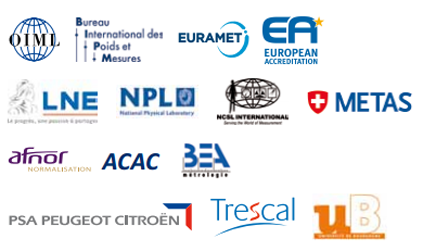 Users, professionnals and academics complete this organisation: A+Métrologie, Acac, Afnor Normalisation, BEA Métrologie, CETIAT, Hexagon Metrology, Implex, LNE, PSA Peugeot Citröen, Trescal, l’Université de Bourgogne and Wika. 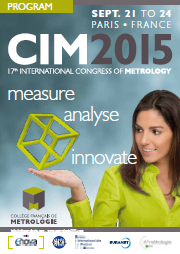 The main partner of the CIM 2015 is A+ Métrologie. The other sponsors are: CETIAT, Hexagon Metrology, Implex, Metrologic Group and Wika. The Ministry in charge of Industry and the Ministry of Culture also support the event. The CIM 2015 is co-organised with ENOVA, a trade show dedicated to technologies in Electronic, Measurement, Vision and Optic. The both organisers created a meeting-point between the Congress and the show at the heart of the exposition: The Metrology Village.